An app launched on the app store, doesn’t guarantee its success. It doesn’t become an overnight sensation. There’s a lot of hard work that goes behind making an app successful and the hero of the story is App Store Optimization (ASO). A very broad term, ASO comprises of a lot of technicalities. Keywords indexing, app store research, etc. are just a few of the things that collectively form ASO. Let’s learn what ASO is and how its efficiency can be improved to strengthen app promotion. 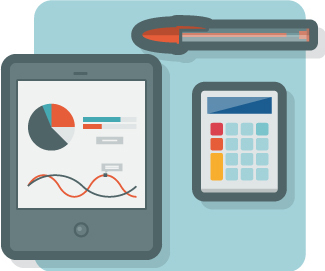 Calculate for FREE how many downloads could ASO bring to your App Here! Before we take a dive into the process of enhancing the efficiency of ASO in favour of our app, let’s first understand what ASO is. ASO, an abbreviation for App Store Optimization, is the process of putting your app out in the front on the app store with the use of proper keywords, title, app description, etc. It is, in many ways similar to Search Engine Optimization (SEO) but, is strictly restricted to the optimization of app in the app store. Why Do We Need ASO? As discussed in the beginning, an app needs a propellant to become famous. ASO is the required fuel to propel your app to fame. With App Store Optimization applied properly, the app becomes visible to the users, thus, enhancing downloads of your app. It also helps in increasing the ratings and reviews of the app, in turn, increasing its demand. How To Increase ASO Algorithm Efficiency? The commonly accepted length of characters for an app title is in between 65-75 characters. The keywords have to be included in this range while keeping in mind that the keywords can’t be overused in a title. For best results, brevity in the title should be maintained and keywords should be used effectively and efficiently. Any optimisation works in accordance with a trend. For your app to get indexed properly and show up in the search, it is highly important that relevant keywords are used. To find the relevant keywords, a proper analysis on the most searched keywords with respect to your app should be carried out. Observing the market trend can also help in providing a proper orientation to this process. A mobile application development company can come in handy to perform these enormous and time consuming tasks for you as they’ve the expertise and tools to perform the required analysis and research. It is essential for app owners to periodically update their keywords, check for market trends, etc. This practice maintains your app’s relevance at all times in the app store. However, anything shouldn’t be overdone and it goes for mobile apps as well. Too much or too frequent changes in the optimisation process could make your difficult to locate by the users in the app store as they might be looking for something else while there would be different keywords indexing with your app, or there could be a title conflict where users might be searching for a different name while you’d have already changed it. Conversely, when used with caution, it can increase the app’s visibility. For example, including high ranking keywords in the app, using tools to monitor and analyse the trends and most importantly to wait patiently until the new keywords get indexed, can help the app in many ways. A mobile app development company can help in digging out the best keywords for your app because they know the market and the trends that can help popularise your app. It is not always advisable to use only popular keywords or keywords that your competitors are using. It is advisable to use a mix of popular and competitive keywords because most of the times a user searches for an app using keyword(s) that are based on the type of app he’s looking for and not typically for an app that he knows about. For instance, if wants to use a restaurant app, he could just key in the words restaurant or food app. These are called short tail keywords. So, remember to prepare a homogenous mixture of appropriate keywords that are useful and work in favour of the app. It is always good to know what’s holding you back and the reason for your lag. With the tools available, and the right mobile app marketing company by your side, analyse the keywords that are hindering the indexing process and/or are utilising the space unwantedly and delete them. This at times improves the app store ranking of the app, making it visible to the users. An app store search differs from a search engine indexing in a lot of ways viz., when a search is conducted on a search engine, the entire phrase is searched and the relevant keywords are indexed whereas, in an app store search, the search string is considerably small generally going up to a maximum of 4-5 words. Therefore, the title, description, and the content for the app in the app store must be kept precise and to the point. Coda: App Store Optimization is ‘THE’ feature that promotes an app on the app store, and the future of an app depends entirely on how meticulously the ASO process is discussed and implemented as it can lift your app to glory or push it into obscurity. It is a powerful tool and should be used with precision and caution. With over 2 million mobile apps in the major app stores, getting your app discovered is one of the biggest issues facing mobile app publishers today. If you’re in the mobile app space, it’s important to understand the various methods for marketing your app. We’d like to share with you one very important technique that continues to be overlooked by most – app store optimization (or ASO for short). ASO is the process of optimizing mobile apps to rank higher in an app store’s search results. The higher your app ranks in an app store’s search results, the more visible it is to potential customers. That increased visibility tends to translate into more traffic to your app’s page in the app store. The goal of ASO is to drive more traffic to your app’s page in the app store, so searchers can take a specific action: downloading your app. Also, the ASO process requires a crucial understanding of your target customer base, including the keywords your potential customers are using to find apps similar to yours. When you learn more about which keywords are being used, you will have a better understanding of the language of your potential customers – a crucial piece of any marketing plan – and you can home in on your keyword choices. If you’re not using ASO to increase your app’s search ranking, you’re missing out on the largest discovery channel available to your app. With hundreds of thousands of apps in each app store vying to rank above one another, the amazing reality is that the majority of publishers are not investing in app store optimization. So here’s our gift to you: ASO is your secret weapon. Spend time every week improving your ASO, and you will meaningfully impact your app’s ranking and overall success. ASO is a process that needs to be monitored and constantly tweaked over a period of time. Your optimal set of keywords rarely is the set that you first opt to put in the app store. Today, the most common approach to ASO is no approach at all. Developers often pick keywords and write descriptions at the last second during an app’s submission process. 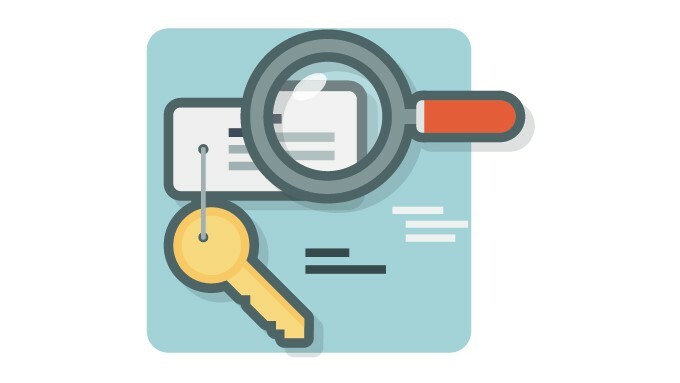 In most cases, little or no research on keyword searches occurs before the app submission, leaving most apps hidden and the likelihood of discovery quite low. App developers need to consistently track their own rankings and the rankings of their competitors over time. More apps are published every day, and the constant stream of new ratings, reviews, and downloads can affect your search rankings. Keep testing and experimenting with your keywords in order to consistently rank well and drive more traffic to your download page. Check it out Here to estimate FOR FREE how many downloads could ASO bring to your App ! Writing a persuasive app description is a crucial part of App Store Optimization, but it is often overlooked by app publishers. Before we jump in, it is important to note that crafting an app description for your local business is different than writing one for any other sort of app. It is less about getting found in the app store, and more about getting recognized by your current customers. More specifically, if you are a local pizza shop, you want your regulars to be able to easily recognize which app is yours when they search the app store to download it. Get Your Free Consultation Here! The most important thing to consider is that you have 255 characters to convey your app’s worth. That is roughly 3-4 lines of text that a user gets to see on your app’s profile without having to tap on “more” to extend to the full description. This first block of the Description is known as “above the fold” text that is shown to the user without them having to make an effort to dig deeper. Users will only click the “more” button if the initial piece of text excites or intrigues them. Unfortunately, less than 2% of app store users actually open the full app description – many ignore it entirely. As a result, your app’s description – especially the first 3 sentences – should convey the value of your app and appeal to their needs. The app description is also intertwined with search queries in both the Apple App Store and the Google Play Store, but they have a different algorithm implemented. For the Google Play Store, your app description is extremely relevant for ranking in search results. Google will pull keywords from this text in order to decide its category and relevance. So make sure to add your keywords in the first few lines of the app description in a natural way (N.B. do not force them in there or use keyword stuffing). For the Apple App Store, iOS does not scan your app description text for keywords. In this case, the “keyword” field is going to be the most important place to include them. However, this does not mean that you should leave them out of your App Store description. If someone were to search for an iOS app on Google.com, Google would still use your app description to determine the search results. Reward: Best practices for app marketing include offering an instant reward for customers who download the app. For instance, “10% off your first order when you download the app.” The app description is a great opportunity to highlight this reward or offer. By leading with this, your customer will understand the value of downloading the app at first glance. Localization: As we mentioned, your need customers need to be able to recognize you in the app store. While this starts with your app icon, users will most likely scroll to the description to make sure they are downloading the right app. For this reason, you should provide a short introduction of your businesses, including the location (i.e. Pizza Project in La Jolla, CA). Key features: Even if your app has 20 different functions, focus on mentioning only the core features. You can highlight each of these features by showing how it will help your customers. Make use of bullet points here, as it is friendly to fast reading. Credibility: The description should also include a credibility statement. The best way to do this for a local business is by including a one-sentence customer review alluding to the app’s value. This third-party endorsement will help to build credibility when there are no reviews for your app yet. Narration: According to Entrepreneur, “the form and manner of the entire narration of the description should be from the point of view of how a user would use the app, rather than from your own point of view as the creator.” The user should be able to picture themselves using the app and value its features. Name your restaurant, it’s location and a unique value (make sure people know they have the right establishment). Give a short description of the apps main functions, i.e. what will they app downloader get. Pizza Palace in San Diego is the place for friends, family, and the Best Pizza in town. This app is a convenient way to order, pay and pick up our Italian specialties. Rewards are built in, so you can start collecting stamps towards free pizza and sandwiches as soon as you download the app! Mobile ordering: Place your order and pick it up from the store. Rewards: Collect stamps and redeem rewards for a free pizza or sandwich. Menu: View our entire menu on the app. News: Stay up-to-date with offers and events with our personalized messages. 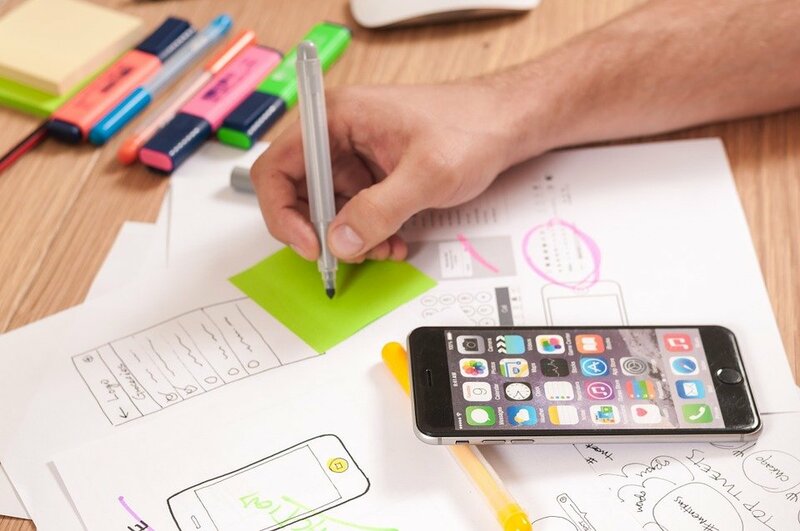 Writing your app description might come as an afterthought, however, it is equally important as any other part of your app’s listing. It can contribute to more downloads and more highly engaged app users. ASO service provider like Supreme Media can treat your app store description and get your customers emotionally excited about downloading and using the app. Check it out Here to try our new ASO calculator and estimate FOR FREE how many downloads could ASO bring to your App! Customers are flocking to the mobile frontier in large numbers. Many developers are jumping on the occasion and trying to create the next best thing to rock the app market. Their ultimate goal is to tie increasing levels of customer interaction to tangible benefits, meaning revenue. Considering the present saturation and level of noise, this is not as easy as it sounds. So, instead of banging the head against the wall, those who want to secure their piece of the digital pie have to realize that keeping up with industry trends has no alternative. Just waiting for in-app purchases to kick-in big time could leave you waiting for a long time. The good news is that there are some other tried and tested monetization strategies that deliver results faster and provide a great ROI. Our Mobile Experts can help you retain your customers on the long term, Check it out here! Ad banners are making a lot of developers rich and the total profits are measured in billions. Diversified ad products with multiple units of varying sizes are doing particularly well. In general, with Pay per Click, you could earn between $0.5 and $3 per conversion, but it is also possible to partner with other brands via sponsorship deals. To get the most bang for your buck, you might want to craft high-quality banners and take advantage of the consumer data: use it as a building material for highly-targeted ads. Just try not to overwhelm users with ad messages and images because that inhibits their experience and engagement. So, steer away from displaying an excessive number or a wrong type of ads to people. For those who don’t know, rewarded videos represent video ad units designed to boost revenue streams and improve engagement rates. They provide users with various perks in the form of credits, in-app currency, or premium pieces of content, all of that in exchange for watching a short video trailer. This tactic prompts users to interact with an app in order to gain something, while developers have a chance to increase the number of views and installs. To maximize the potential as native & rewarded video formats follow the steps and tips from leading companies like Appnext. After all, this type of monetization is poised to attract much attention and investment money in 2018. More often than not, app developers’ prime goal is to reach the one million mark in a certain period of time. The likes of Dropbox and Facebook have pulled it off, but how to replicate their success? Well, it is time to get down to the basics: Your app is as strong and fast as the database architecture that powers it. To make everything run like a greased lighting, check index usages, identify slowest-running queries, and monitor database locks. Add new indexes to the database as needed in order to increase response times. Furthermore, consider caching servers like Redis or alternatively, add replica servers to the mix and distribute the load between them. To really scale your app and reach millions of users, you have a bit more ground to cover. First of all, ensure that your app is not only present on major marketplaces like Google Play and Apple App Store, but also easy to find. Getting to the forefront of stores is a formidable effort considering that there are millions of products floating around. To make it worse, only a small fraction of apps in this ocean actually earn profit via downloads (selling). But, don’t fret: that is when app store optimization (ASO) comes into play. Pay close attention to critical elements like title and make the most of keywords to improve SEO. These components can be fine-tuned easily, so make certain to do it regularly. It’s all in the presentation: building an app requires a good title to catch a user’s eye in the mobile app market. Despite the level of hate they receive, in-app purchases remain a staple app monetization method. It is especially popular for free apps and it essentially turns the platform into another sales channel. One great advantage of it is that purchase features do not take much interface space. To push the customers through the funnel, though, you have to present a seamless and convenient experience. Feel free to experiment with different offerings such as paywalls that unlock features as well as various goods and services. Keep track of buying patterns to figure out what resonates you’re your audience the most. To tap into a steady, recurring revenue stream, most developers turn to laying the subscription framework. To make it happen, one has to produce fresh content and keep it flowing on a regular basis. It also pays off to cut the app’s update cycle and add more value to customers’ lives. So, work out the best subscription model. Avoid the so-called blind-lines and present multiple subscription options. For instance, a news app can future print, web, mobile app subscription or a combination of these models. Nail this aspect and people will be enticed to visit your app more often and spend more time immersed there. Mobile apps are driving revenues that rival and often outmatch those generated by websites. However, recouping the hefty funds needed to fuel the app development can be a daunting task. So, don’t let scaling issue pop up at an inconvenient time. If you are not using the aforementioned monetization strategies, you are probably missing lucrative growth opportunities. The bulk of the apps of today are free anyway, so planning your monetization strategy thoroughly poses a great way to outpace your competition. Get ahead of the curve and build a devoted user base. Foster a personalized experience that is nothing short of a stellar journey through your branded, digital landscape. Pierce through the marketing noise out there and witness a throng of consumers clamoring to gain access to your app. You went through the trouble of designing a killer app with slick functionality that’s ready to add value to its everyday user. Previous testers and current users are raving about it and success appears imminent. But there’s a major issue: The only ones who can find it are those who know about it. Your app is nowhere to be found in any app store, whether iTunes for iOS, Google Play for Android, Windows Store for Windows Phone, or BlackBerry World for BlackBerry. This problem needs to be addressed – and quickly – before a competitor comes in and swoops up your audience. The solution resides in a strong mobile marketing campaign that focuses on app store optimization (ASO), a term that continues to garner traction daily. Following are four ASO tips that my digital marketing agency relies on to claim top-ranking results for its app clients. Just like everything in SEO, keywords are the foundation for getting apps found in various app stores. Of course, start with a keyword in the app title, and choose it wisely. One big change to the Apple App Store as of September 2016 was limiting the character count from 255 to 50 characters. This means tightening your word choice; the idea is to find the correct balance between the app’s name and some keywords. Remember, this will also be your app’s URL, so choose wisely. The same goes for the keyword field; the App Store limits keywords to 100 and each word should be separated by a comma with no spaces. Remember two things when choosing keywords for your app: relevancy and competition. Make sure your keywords are relevant to the app’s purpose and chase less-competitive longer-tail keywords instead of broad ones that will be harder to rank for. Also, use numerals instead of written numbers to save space and include normal typos found online (e.g. : Tumbler for Tumblr). 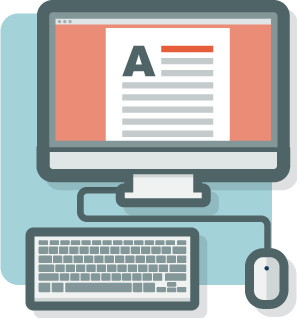 Think of screenshots like the opening sentences of a blog or any online article: If those words don’t immediately consume your attention, it’s likely you’ll click on something else. This same principle goes for screenshots, which are the first impression a potential user sees when visiting an app store. 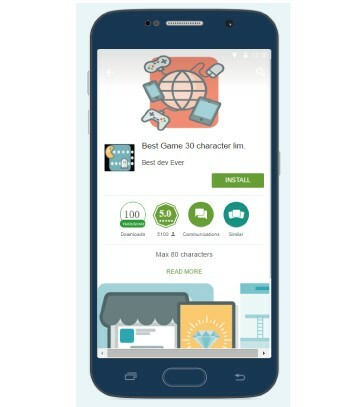 A study completed by AppShots says “53% of Android users and 47% of iOS users found their last app through app store searching “(Google Play and App Store, respectively), and apps with appealing screenshots increased downloads by 30% over ones with just words. Your first screenshot is your elevator pitch and should clearly and quickly explain the essence of your app and its value proposition. Only use high-resolution screenshots and make sure they explain what the app is about. Also, try to show any social proof with clear and positive customer opinion. If your business has anything to do with location, make sure you localize the screenshots and description for your business’s area. This doesn’t have to be the main screenshot but should be one of the supporting screenshots. If you have a pizza business in Manhattan, include a screenshot of a map location. Try to make this the second screenshot, though you will find a few local businesses that make a localized screenshot their lead one – and with success. Also, keep things fresh with regard to not only updating the app’s functionality but all app store components: screenshots, app descriptions and keywords. We recommend that people check these factors every quarter. Take customer feedback into consideration when updating ASO; that old adage that the “customer knows best” speaks even more truth in app stores. Listen to what they are saying and continue to build out the functionality of your app. As for ASO, keywords will change as your business does and you’ll always want to stay on top of trends happening within your industry. This can be a simple screenshot change or attractive keywords for seasonally products/services like holiday shopping deals or spring grass cutting. Remember to also use bullet points in your app descriptions for easier reading and understanding of your app’s functionality. This is one of the most frustrating parts of ASO because developers/app owners have zero control over the reviewing/rating process within app stores. 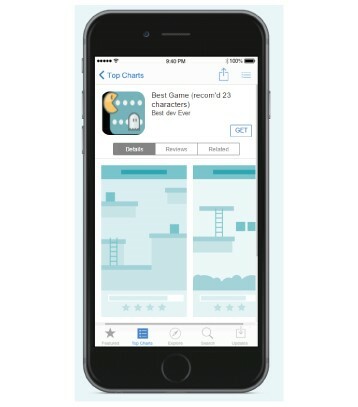 It’s simple: Higher ratings equal higher rankings within the app stores. There will always be negative reviews/ratings, so what’s the best way to deal with them? The most optimal solution is to have users provide feedback to app developers directly through your app. 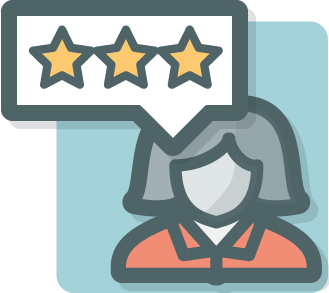 In-app feedback is a great way to keep complaints in-house and allows developers to tweak functionality without having the negative comments online. Many tools exist that provide in-app pop-up boxes for ratings, such as Appirator. These tools can also help UX by providing an outlet for them to rate quickly and provide immediate feedback to developers. For the ultimate success of any app, app store optimization should never be overlooked. It’s as important as app development itself – especially since around 50% of app users find apps through app stores. Follow these four tips for ASO and remember to always study what your biggest competitors are doing. App store competitive research is some of the easiest research out there. Simply enter the keywords you’re trying to rank for in whatever app store you are using and see what the top-ranked competitors are doing. Make this a regular practice – weekly, if possible. 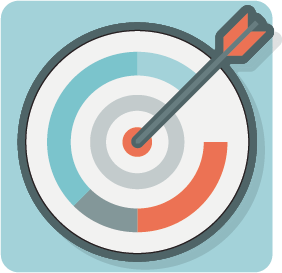 You can also test Our Brand New App Store Optimization Calculator FOR FREE! And Draw An Estimate Of How Many Downloads Could ASO Bring To Your App. It is always good to know what’s holding you back and the reason for your lag. With the tools available, and the right mobile app development company by your side, analyse the keywords that are hindering the indexing process and/or are utilising the space unwantedly and delete them. This at times improves the app store ranking of the app, making it visible to the users. Introduced on June 5, 2017 at the Worldwide Developers Conference, iOS 11 is the next-generation version of iOS. As Apple CEO Tim Cook said on stage, the update takes the best and most advanced operating system and turns it up to 11. But how does iOS affect your App Store Optimization (ASO) strategy? For A FREE Mobile Marketing Consultation, Check It Out Here! In the search result page of iOS 11, up to three app preview videos and/or screenshots can appear, rather than just two as in iOS 10. Videos will always be displayed before screenshots and the first video will now play automatically, but the sound will be muted by default. As three previews/screenshots are squeezed together now, their dimensions have become smaller. To make them stand out, make sure you use a short caption text on a clean background in your preview video poster frame/screenshots. Also, use your strongest messages in the first three screenshots/preview videos to impress the users. You only get one chance to make a first impression. With iOS 11, Apple will be shortening the app name from 50 characters to just 30. To make up for it, Apple will add a new app subtitle field that appears below the app name. 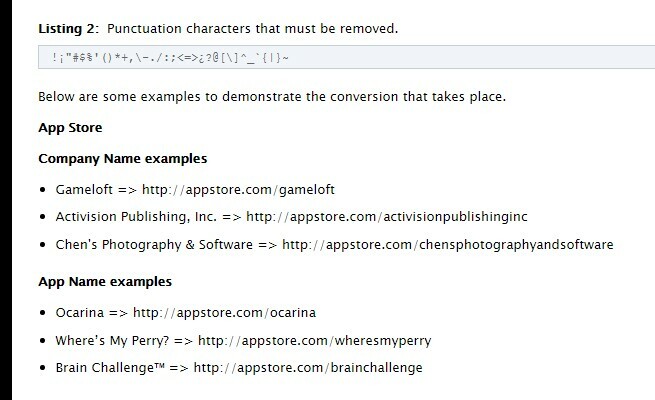 App subtitle will give app publishers another 30 characters to highlight features or typical uses of the app. Similar to app name, app subtitle is indexed in the App Store search, making it ideal to include keywords that you want to rank for. For existing apps that are using 50 characters in their app name, only the first 30 characters will be indexed by the App Store search once you have also used the app subtitle field. Now you can customize in-app purchases (IAP) by adding display names, descriptions, and icon for each. You can promote up to 20 of them on your product page. IAP can also now appear in search results, the Games and Apps tabs, or even be featured on the Today page. The big news about IAP is that previously in iOS 10 and before, IAP would only rank if the user typed in an exact match search. In iOS 11, IAP now ranks for partial match search too. So app publishers will be able to increase the store visibility by orders of magnitude through optimizing up to 20 IAPs, each comes with a name, description, and icon. In iOS 10 and before, the average rating of the current version is displayed in App Store. But whenever an update is published, the average rating of the app is reset. That discourages many app publishers from releasing an update. The iOS 11, only the overall average rating will be displayed. You will also be able to determine when you reset the average rating of your app. This allows you to erase mistakes that you have made in the past, so your ratings properly reflect the current quality of your app. In iOS 11, Apple will disallow custom review prompts in all apps. Now Apple provides their own API that you can add to your app to allow the consumer to submit their review within the app. However, you are limited to prompt each consumer for review only three times per year. Because of this restriction, it’s important that app publishers be extra thoughtful and analytical about how they should use the Apple API. You may first use a custom survey to find out the users who really like your app, then you can target the Apple review prompts only to these users. This way, you will have a better chance to get better reviews. A new promotional text field will be added. It appears at the top of the description and is limited to 170 characters. Consider using promotional text to share the latest news about your app. You can update it at any time without having to submit a new version of your app. However, this promotional text is not indexed in the App Store search. It cannot help your app ranks higher in the App Store search. For the app description, you can update it only when submitting a new version of your app. Think carefully about what you want to convey to your customers and the features you highlight in your app description. Rumor has it that Apple is going to index app description in the App Store search. However, it is not confirmed yet. You can feature up to three app preview videos. Each video can last up to 30-seconds long. The app preview videos will autoplay with muted audio when a user views your product page, which means that your first few seconds of the preview need to be the most captivating to convince users to download your app. In this blog you will receive 7 tips on how to improve your mobile app’s ASO. Don’t wait – start today. 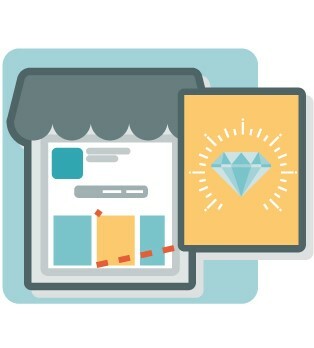 Give your mobile app the full treatment and perfect your app store optimization. Ranking your app in App Store or Google Play may feel like an unrealistic goal, but following these steps will help you get where you need to be. Let’s start! You want more app downloads – great ASO can help you. Improve your app ratings, and stand out in the densely packed space of 1.5 million apps apps and games. Follow these 7 actions today and make your app more visible and ultimately discoverable. If you google “What is ASO“? you might get this answer: The ASO test is primarily used to help determine whether a recent strep infection with group A Streptococcus… That’s something else. The ASO you need to focus on is “What is App Store Optimization”. ASO is your mobile app’s fast lane to discoverability, and you need to nail that test. Advertising is an option, regularly for larger companies. It takes about 100,000 downloads to get on the US top 10 list. If you are a small developer, then advertising may not be an alternative. The Cost Per Install (CPI) with advertising is between $1.50 and almost $2, which makes $1 and something x 100,000 downloads = a lot of money. And in some regions the CPI is even higher. Like in US for instance, the average CPI for iOS is $2.78. ASO is your way to keep the costs down, boost downloads, get visible, and increase revenue. These are the tools I’m using when working with ASO. Download my list with 5 great ASO tools and the spread sheet I’m using. Master the art of App Store Optimization, and become an ASO ninja. Learn how to impact the critical rules that decide whether your app receives a high ranking or not. Specific task: You need the app to accomplish a specific task, log on to your bank for instance. WOM: Word of Mouth – a friend of yours just downloaded the app, and loves it. Ad: You’ve seen an advertisement of the app, and want to try it. Top charts: You’ve seen the app highlighted on the App Store. Already using: You’ve used the app before. Social – Organic: You’ve seen the app on social media. The X-factor – What turns a visitor into a downloader? Text: Great copy, intriguing description, correct keywords, attractive name, and localization to the visitor’s language. Visuals: A great icon, fancy images and awesome screenshots. Stars: Store factors like number of downloads, great ratings and positive reviews. You need to improve your conversion rate. High rankings arise from many, recent, and frequent installs, combined with a low number of uninstalls. Conversion rate is the number you get when dividing visitors with installs. Downloads affects your ranking. 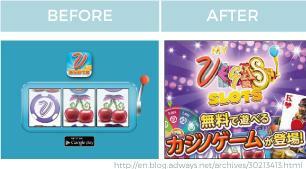 An app with many downloads, will have an increase ranking. Don’t try to cheat the search algorithms. Downloads from robots, spam etc will affect the ranking negatively. Track your visitors, and learn why some of them become installers. You need to know where they are coming from: Are they arising from paid installs, or organic installs? Update a spreadsheet on a daily basis, and follow the trend your conversion rate is having. Doing this makes it possible for you to track and to determine every change you make. You will instantly see if the update, the keyword change, or the new translation is affecting the downloads. On the other hand, you will note whether a bad review has impacted on downloads over the following days. The first app shows an app with a huge hype in the beginning, and then an extreme decrease in downloads. One reason for this might be bad reviews. The disastrous fall will affect ranking negatively. The second app has a positive trend. The peaks might occur during holidays or weekends. Reviews can affect downloads, not only in the long term but also short term. A negative review might have a bad impact for a couple of days, and the the app is saved by a positive review and downloads increase again. The third app needs a boost. The boost can be the release of a new feature. The last app is in the flow. App store heavily favors downloads. And downloads trigger ranking, which in turn triggers downloads. An app like that ranks highly in popularity lists, and keyword ranking will become broader and more generous. A paid install will give an additional 1,5 organic installs. Don’t change your title if you’ve already released your app. You’ll risk losing potential downloads from people who heard of your app, read a review, or maybe read a post on Facebook. If you change the title, it will become more difficult for them to find your app. But if you are about to come up with a brand new name for your app, then there are some tips. The title is an extremely important metadata, and a great app title will improve ranking. Phew. And you need to make sure your title is unique, and creative. Did I say keywords? Why is it important to keep the title short? When reading on a screen, the visitor needs to see the full app name, without clicking on the actual app. 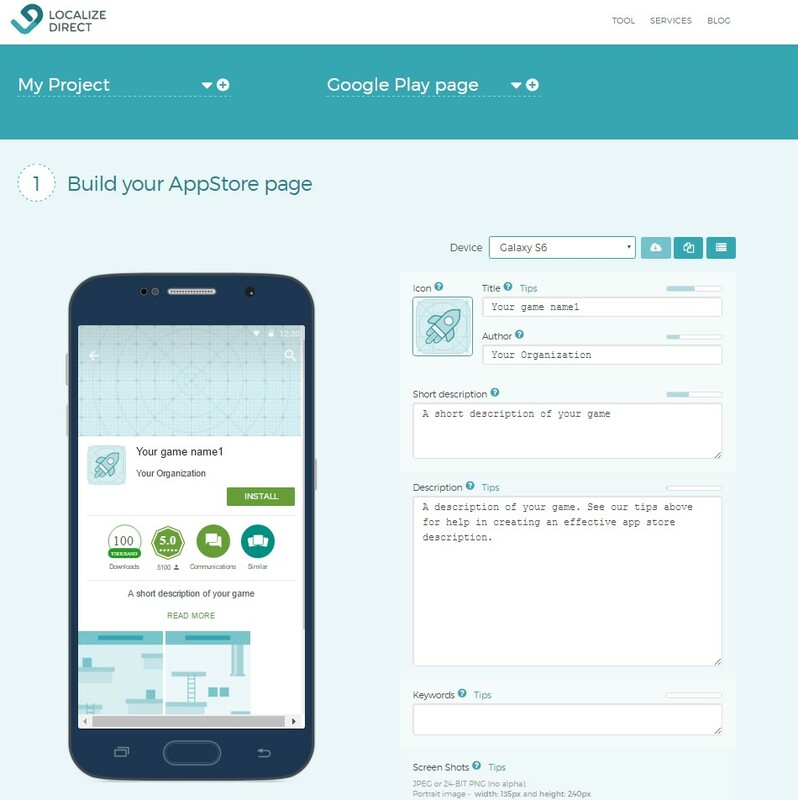 If you need help to preview the app and app title, test this free tool at LocalizeDirect. Pick a simple name. It should be an easy name to remember, and easy to write. Choose something unique; it mustn’t sound like something already out there, and it shouldn’t be too general. The name needs to be specific for your app’s feature, and say something about what your app does. Apple recommends 23 characters or less for a title. That way the text will be presented in the best way. Once again: Use a unique app name. URLs with multiple results like appstore.com/airhockey will return a search page. If you use a unique name, you’ll avoid conflict with other identical names. Don’t use strange characters, punctuation or symbols. The URL in iTunes is usually based on your app name. There is a 30 character limit for your Google Play app. Remember to preview your app before going live. Click here LocalizeDirect. Brainstorm – grab a pen, invite a friend on a cup of coffee, and write down every possible word and multi-word phrase on paper. Which words do you believe are the best to find your app? Figure out features, and challenges. Use google, Twitter etc to find right search terms. Look for similar apps, and look for keywords in app reviews. Then use a tool like Sensor Tower to track your keywords, and spy on your competitors. Collect all of your keywords, and turn on your computer. Open a new spreadsheet, and write one keyword per cell in the first column. When you’ve finished, every keyword needs to be ranked. In the image below “Number of apps” and “Rank” come from Sensor Tower. Other vendors have similar rankings. “Number of apps” is the total amount of apps using that particular keyword, and “Rank” is your app’s ranking among the others. When the cell is blank, there’s no estimated rank. Start with evaluating whether your keyword is relevant or not. You need to choose keywords that are relevant to your app. Otherwise people will search for your specific keyword, and get annoyed when finding something else. You need to find keywords that people are searching for. You need keywords with searches, or traffic, but not too much traffic like a billion searches, because then a higher ranking will be harder to achieve. On the other hand, not too low either as then the number of people searching are too few. 10,000 searches aren’t enough. Something in-between is best. Difficulty – you want that number to be pretty low. Find keywords with low competition so you can rank higher. It is better to be in the top 10 for an average search word, than top 200 for a keyword with a billion searches. Now it is time to narrow down! Keep the keywords with the highest ranking. Then sort the rest by difficulty. You want to keep the keywords with a low difficulty value, combined with traffic. Let’s use the keywords. How? It depends on the platform. Read this blog post if you want to learn more about choosing the perfect keywords for your iOS app. Google doesn’t have a keywords field. Google Play’s ASO is more of a standard SEO (Search Engine Optimization). When working with keywords for a Google Play app, you need great copy and keywords. In the short description you have an 80 character limit, and you need to put your keywords in there. The long description is 4,000 characters. Make this description keywords dense, and repeat every keyword 5 times. Use a free tool like LocalizeDirect app translation service to check your descriptions before going live. You need to improve your rankings. No, not by making them up, but by giving the downloaders super customer support. Why should you care about the rankings? In app stores, reviews are taken into account when the search algorithm ranks different parameters. Have an email address where your users can reach you. Have a website for support. Listen, reply fast and fix bugs. Ask for a second review after you helped them. Take good care of your downloaders. The number of uninstalls and app usage frequency has an effect on your app’s ranking. Backlinks have a great impact on your Google Play app. You want your app to be a great app so your app’s downloaders link to your game on different webpages. What should you do to take care of your users? Don’t spam them and don’t ask for their reviews all the time. When asking them for a positive review, make sure not to disturb them when doing something critical in your app. Don’t ruin their experience, and don’t ask for a review; simply just ask if they like your app. Make sure your communications channels are great, and allow your downloaders to contact you. Update with bugfixes, and always reply. Be friendly, even when you feel super annoyed and don’t agree with your user. Remember the old adage, the customer is always right. Even when you think they are wrong, let the customers think they are right. The opening of your app description should be an emotive call to action. Try to put yourself in your customer’s shoes. What are they looking for? SLAP – Stop, Look, Act, and Purchase. Grab attention and use subjects and verbs early in the sentence to encourage action and make the meaning as clear as possible. KISS – Keep it simple stupid. Don’t use jargon, it can be off-putting. Cut out superfluous words, there’s no room for filler. WIIFM – What’s in it for me? What’s the value proposition? What will the customer get, learn, or experience if they download? Typos and poor grammar – Use a professional writer, or at the very least spellcheck it. Confusing and vague – If they can’t understand what it does then they won’t download it. Hyperbole – Is it really revolutionary? Don’t get carried away or expectations will soar. Bending the truth – The truth will out just a few seconds after download. Don’t lie. Keyword stuffing – It looks ugly and it won’t have the impact you want. Targeting the wrong person – Write for the customer, not for yourself, or other developers. Omitting important details – How big is it? How much is a subscription? 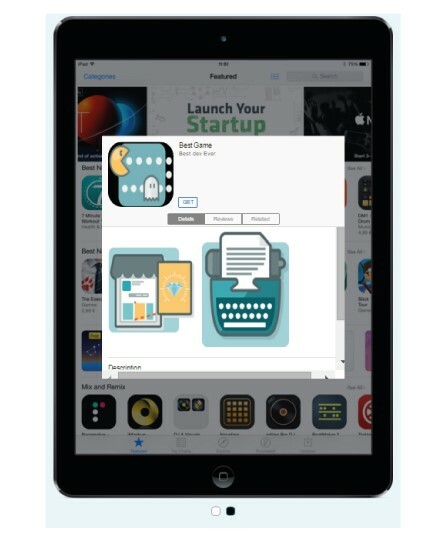 Read more about how to write a great app description. Your icon, just like the title, is the first impression of your app. Take this chance to show your app in it’s best light. The app icon itself will not affect the ranking directly, but since a great app icon can push your visitors to download your app, the app icon is essential for downloads. Make it simple. Be clear, focus on the main feature of your app, and find that one element that describes your app the best. Use universal imagery. If your app is a mail service, then use the image for an envelope, not a mailbox or mail truck. Don’t use text in the icon. The icon size is very small, and all text will look blurry. A picture paints a thousand words, and has a higher click rate than an icon with text. Keep it simple. Use a universal image on a one-color background. Skip 3D and other effects. Be aware of the colors. Use a contrast color to the background. Colors might mean different things in different countries. Make sure to localize your app icon and color. Red – might be a bit intimidating. Red is energy, urgency and excitement, but might in advertising be associated with negativity. Blue is trustworthy, a secure color, typical for banks. Green is a comfortable color, easy for the eye to process, associated with balance and health. The icon itself, and the screen shots, might need to be localized. Check with your localization vendor before releasing your app in different countries. App localization is a great way to get high rankings in as many countries as possible. If you don’t wish to localize the entire app, then start by creating a MVP – Minimum Viable Product – by localizing your app’s metadata: description, keywords, title etc. There is a clear and demonstrable link between mobile app localization and higher numbers of downloads and revenue generated in the targeted markets. People prefer to spend time on mobile games and apps that are in their native language. It’s a great deal less expensive and time-consuming to localize your existing app or game than it is to create a new one. Why leave money on the table? Many developers assume that English is enough, but some of the most lucrative markets for mobile apps and games are not native English speaking. Try our app translaiton service to see how many users your app reaches after localization. An organic install takes place when the user discovers and installs your app without any help, meaning that he hasn’t seen any ad or an affiliate (tracked) link from another website or mobile app. In a perfect world, where all paid campaigns and owned sources are properly tracked, organic installs are generated via app store search, top charts rankings and Featured, while the users browse through the app stores to discover new apps. It’s important to distinguish (and track) these three different sources of installs: paid, owned and organic. If you need advice from market experts you can check it out here. Check it out here to get in touch with our mobile experts. It is not enough to track your own app – start tracking your competitors if you haven’t yet. Daily control of your keyword rankings against the competition is a must if you want your app or game to succeed. Constantly monitor your app´s position in the top charts, your competitors’ ranking, and what other apps are ranking high in the same category or for the same keywords. Try to dig deeper and understand how do they achieved these results. Tracking and optimizing the keywords, top charts ranking, conversion rates and user reviews / ratings is an effort you need to make to ensure you are keeping up with your rivals. There is always something you can improve in your app’s listing, ASO is an ongoing process. From the moment the Apple App Store was created and ASO was born, numerous tools have appeared to facilitate monitoring and tracking every item related to the visibility of apps in the stores. There are tools for everything – keywords, top charts rankings, ratings and reviews, competitors, organic installs, organic revenues, etc. The biggest mistake that you can make as an app marketer is to not properly track every ASO KPI related to your app’s visibility. For example, thanks to the official integration with AppsFlyer, in TheTool you can measure the volume of organic installs per day and country. This helps find out if your ASO strategy is working or not. You need to have data about the evolution of important metrics to have a wider perspective and make better ASO decisions. Try and use the new and existing tools to track every detail of your app, and don’t forget about the previous tip – never stop optimizing. Having an ASO strategy in place is a crucial factor of success for any app or mobile game. You can build a perfect app, but without the right positioning, you will never actually reach your target users. Once you have implemented ASO and optimized the metrics of your app, keep on tracking your app and your competition, upgrade, optimize and adapt to any change in this fast-paced market. Check it out here to estimate FOR FREE how many downloads could our Mobile Experts and Growth Hackers bring to your App by doing ASO ! Without App Store Optimization, it’s very difficult to find your application on the app stores. Here I’m going to discuss ASO Strategies that you need to use in 2017. App Store Optimization (ASO) is the process of increasing the visibility of mobile apps to rank higher in the app store search results. The ASO is important because higher the rank of your app on the app store, the more visible it is to a potential customer. First, make a list of keywords that relate to your app. Add both keywords and long tail keywords in the list. There are many keyword search tools available, just enter a specific word in the search box and it will show you all the words that relate to your entered word. We would suggest you to use Sensor Tower and Mobile Action to gather the data. You can see the competition by using these tools. It will show you how likely you will rank in the top 10 for a keyword. So, the keywords analysis is necessary. If you don’t want to do this, then hire SEO executives. They know how to search and analyze each and every keyword. Ask them about top ten keywords that have a chance to come on top on the App Store. It is one of most important App Store Optimization Strategies that you must need to do. After choosing top ten keywords for your app now you know the title of your app. But keep in mind app names are truncated at 23 characters (iOS) and 30 characters (Android) so keeping them short is critical. We must say that your app title and description is everything. App Title draws the attention of users. Make sure your focus keyword should be in the title and also throughout the app description. So, create a well-written copy that contains the strategically placed keywords and tells about your app. Write its benefits and how it differs from the rest. The first three sentences grab the more attention so write it proper and attractive. Your app description is something that ultimately convinces users to download your app. Your app icon and cover suitable to your app, should be clearly sound about your app. People will definitely judge your app by its icon and cover. The app icon plays the important part in ASO because it is the first impression that people have about your app. To create a quick recognition for your app, use app logo as an app icon. So, design a simple and memorable icon that immediately conveys the audience. It really boosts your downloads. If conversions increase on websites because of high-quality and attractive images, you can bet the same principle’s at work in the App Store. It focuses on the app design principles to keep in mind when creating your app icon and splash image. It will increase your downloads and will also improve reviews and ratings. People are visual creatures so everyone might not read the app description. They will definitely first see the screenshots. You can upload maximum five screenshots and first two screenshots are very important. It will grab users’ attention. So showcase your most significant screenshots first. Show the key features in the five screenshots. You can boost your app downloads if you have a real idea and knowledge of how screenshots perform better. So, flaunt attractive and real screenshots that tell about your app. You can use real-time screenshots. For example, take a picture of someone when he/she using your app. It will be very impressive for your app. How can video be helpful to draw users to your app? Let’s understand it with a good example; have you remembered the recent blockbuster film Baahubali 2? Of course, yes! They’ve released its trailer first so it grabbed everyone’s attention by the releasing an interesting trailer and make money. Same as in mobile apps, it is necessary to make an eye-catching video that shows about your app how it works and how it differs from the rest. It is highlighting the key features. But keep it short and simple with great sound quality. The video is one of the most powerful ways to get your message across about your app. You might think we’re biased, but we’re definitely not the only ones saying it. It can help you boost your app visibility, increase user engagement and retention, and get more (qualified) downloads. And that’s without mentioning branding and SEO benefits. But first, consider your audience while you are making a video. Also, use an analytics tool to stay on track. Found this useful? Then please share it on Twitter, Facebook, Google Plus, and LinkedIn. These are some of the best ways to stay on top on app stores. Generally, people fail to find the best app for themselves so read how to find best apps from app store. If we missed any effective App Store Optimization Strategies, then tell us in the comment section below and you can also share app store optimization techniques.